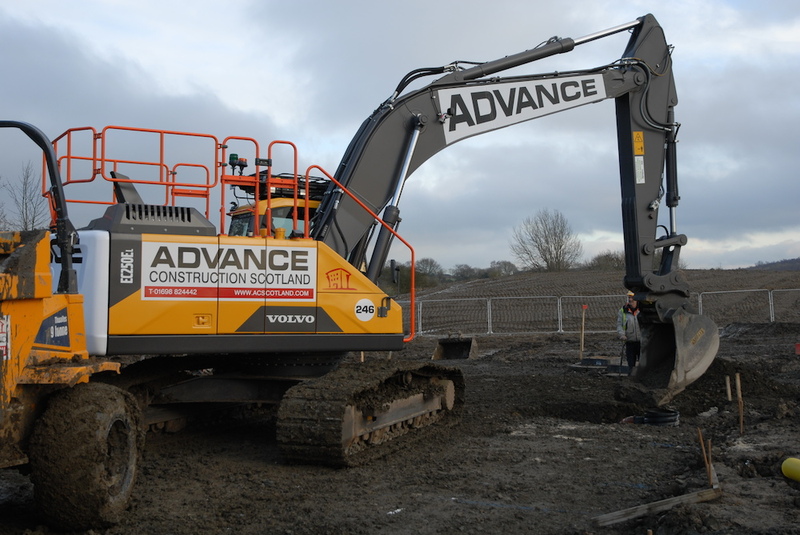 Blantyre based Advance Construction Scotland Ltd has purchased another package of Volvo excavators which, once again, are all incremental to the company’s already massive fleet of equipment with options for even more machines later this year. 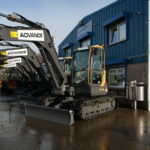 Founded in 1993 by Seamus Shields, Advance Construction Scotland Ltd provides professional groundworks and civil engineering services, and offers a complete package of labour, plant and materials delivered by qualified and experienced engineers and site operatives. Covering the whole of Scotland, the family-run company has gained an enviable reputation specializing in major contracts across the private sector in social housing and within the public sector including hospitals and schools. Specific services include; bulk earthworks; drainage, road construction, utilities and hard and soft landscaping.